Nobody aces an interview on the fly. Preparation is key, and the hours and minutes before your interview are the defining moments that determine how your day will play out. When you wake up: Stretch, limber up, get the blood flowing throughout your body. Give yourself ample time to clean up. You want to look as impressive as possible. Physical attractiveness or at least presentation has (perhaps unfortunately) a lot to do with the selection process. Don’t start consciously thinking about your interview yet. For attire, dress in a style befitting the company’s culture – but know that It’s hard to go wrong with the classic business look. Remember to eat: Often under stressful situations, our body forgets to eat – or eats too much. Grab a quick meal and maybe a cup of coffee. You want to be alert, not tired and dragging or overly jittery for your interview. Just like for a game, go for a well-rounded meal with protein and carbs. Clear your head: As you’re getting ready, put on the daily news or lighten up a bit by playing your favorite song – be it 80′s power ballad or “so-bad-it’s-good” pop song. A cheery disposition can make all the difference when your interviewer sees you walk through the door with a smile on your face. Don’t forget your documents: An extra resume in a clean folder, along with a portfolio of previous projects are your tools of the trade. It doesn’t hurt to bring along an extra sheet of paper with the name and phone number of your interviewer scribbled on it. Don’t bring this into the interview though – it’s just a good reminder to glance at occasionally if you’re bad with remembering names or if you get stuck in traffic on your way over the company and you need to call ahead. Brace for the storm: Now it’s time to get serious. In the car ride over, play devil’s advocate by doing question and answer. Test your knowledge of the company, any information about your interviewer, basic facts from your resume, and run through the most common interview questions in your head. No need to cram at this point – this is just a quick review before your final exam. As you walk in: Breathe, relax your shoulders. It’s game time. Remember to watch your body language and be confident. Don’t wait until the last minute to start your interview preparation. If you ease yourself into the interviewee’s role bit-by-bit and gradually prepare your mind and body – you just might find the interview process pretty easy. 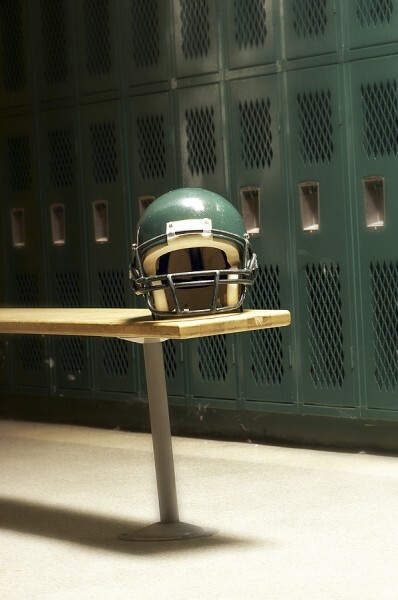 In the end, it’s just one last big game – a natural conclusion to all your hard work and effort. Make it happen.